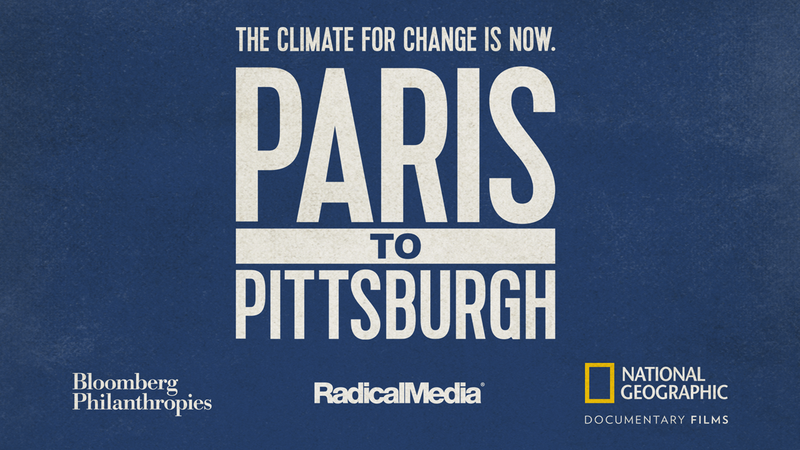 Please join us at Roosevelt House for a film screening of Paris to Pittsburgh, produced by RadicalMedia in partnership with Bloomberg Philanthropies. The documentary brings to light the impassioned efforts of individuals who are battling the most severe threats of climate change in their own backyards. Set against the national debate over the United States’ energy future — and the Trump administration's explosive decision to exit the Paris Climate Agreement — the film captures what's at stake for communities around the country and the inspiring ways Americans are responding. The film is directed by Sidney Beaumont and Michael Bonfiglio and premiered on National Geographic on December 12th, 2018.